The road for Daryl in this episode isn’t quite as revelatory. At least not intellectually so. One he has eluded his pursuers, and in a moment of exhaustion, he is blindsided by a small group of three people wandering the woods seeking safety from the group they were with before. 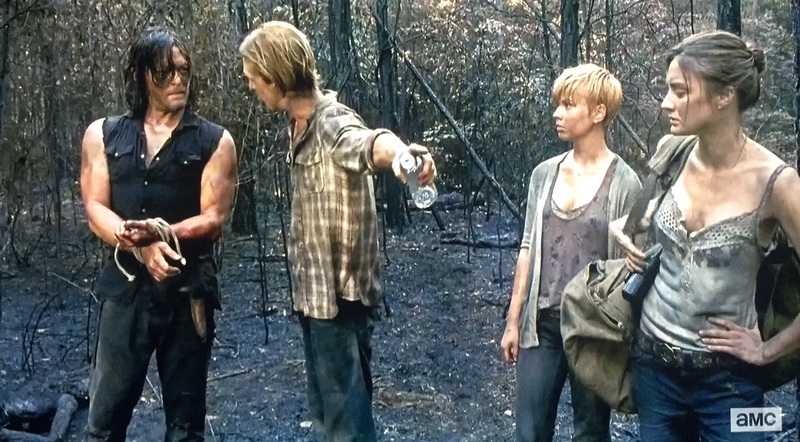 They are convinced Daryl is part of that group so they’re holding him hostage until they can ensure their own safety. Daryl takes advantage of a moment to flee, but when he realizes he has an insulin pack which they need he has a choice to make; ensure his own safety and continue running, or return their medicine to them. This is his dilemma in this week’s episode. Fleeing at this time, we later learn, would mean he’ll return to his bike and his crossbow and track down Abraham and Sasha without giving a second thought to these three random people who thought they could keep him bound. Instead he makes the moral choice to return to them. Taken by itself this might be seen as a just a blimp on the radar for Daryl. Maybe he just made the wrong choice. 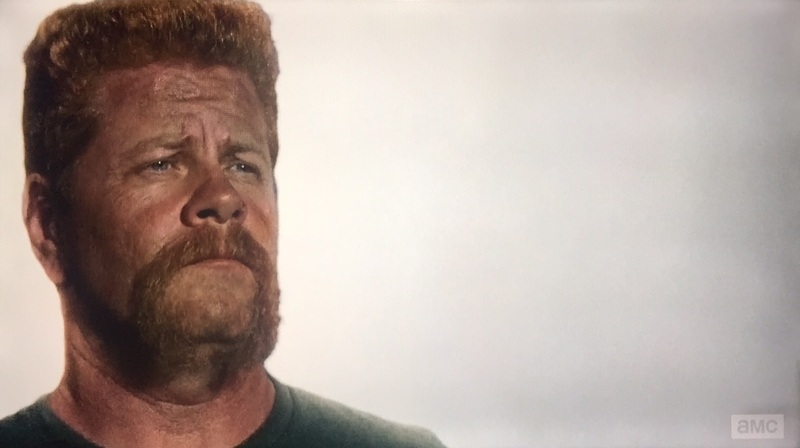 But, when considered with the backdrop of his desire to find more people when searching with Aaron, I think we’re seeing a softer side of Daryl that most often wins out when given time to contemplate. He reaches out to others. He seeks to help rather than abandon. He even helped those in this episode that bound him in ropes. Dare I say, he’s evangelical! Don’t get me wrong, he’ll snap in a moment’s notice if you threaten or harm his family. But when given time to think things through, Daryl often arrives at a decision which helps and protects people. This was one of those episodes that is hard to decide if it’s good or bad. It was mostly just there. Making Daryl a captive and seeing his humanity shine through was nice, but the sequence where he and his captors are running from this unknown group led by ‘Wade’ is poorly designed and seems somewhat inconsequential. I’m not worried by this group. We didn’t really learn much by their inclusion or from the three that captured Daryl. Seems a bit pointless. 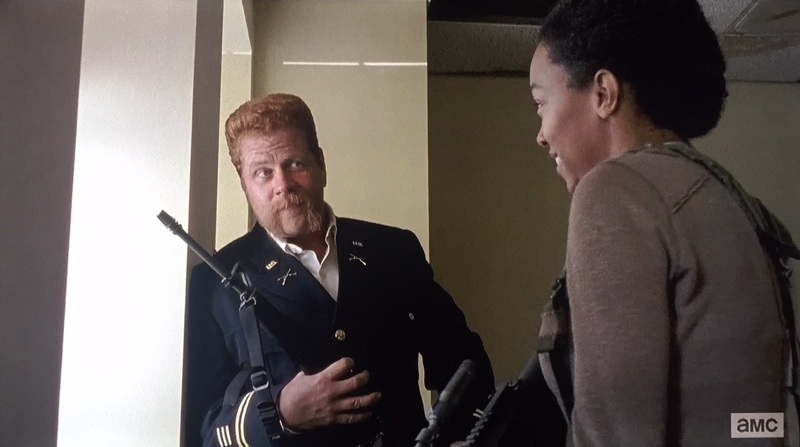 I liked Sasha calling Abraham’s bull, but the idea of a romance between them feels forced and terribly mismatched. 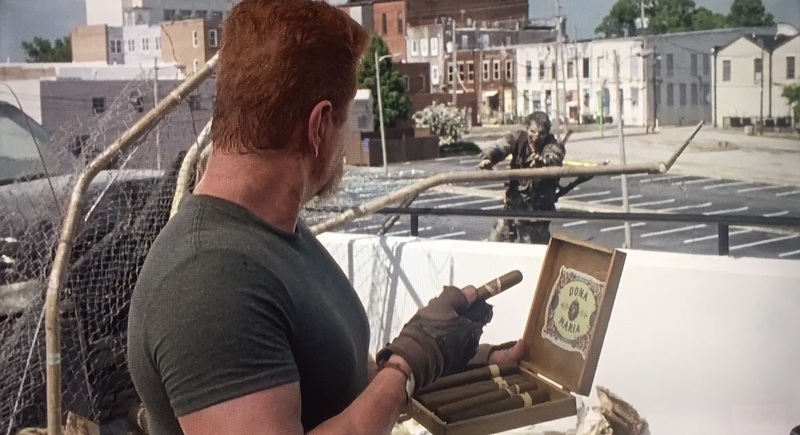 Additionally the scene where Abraham is facing his demons, accepts Sasha’s critique, and just calmly waits by the walker is well paced and a good look at how Abraham deals with his troubles. One thing I’m sure of is that it was better than last week, but only slightly. 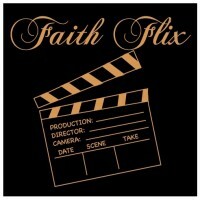 I’d love to hear what you thought of Always Accountable!